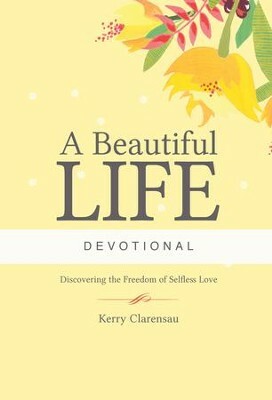 Companion to the book A Beautiful Life: Discovering the Freedom of Selfless Love, this collection of twenty-one brief devotionals will draw you into the concepts that are presented in more detail in the book, like the nature of love, forgiveness, and being sensitive to those around us. Designed to be used in tandem with the book or independently, each entry includes suggested Scripture readings and personal action steps. 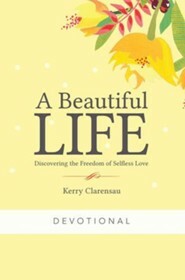 A lovely journal based on the themes in A Beautiful Life is also available to help you process and capture your thoughts while reading these entries. 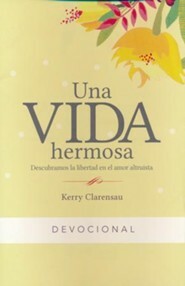 Kerry Clarensau is the director of a national womens organization that numbers over 340,000 members. She is a credentialed minister, a mentor, and an international speaker. 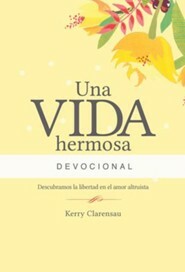 A prolific writer, she creates resources for ministry to women and is the author of Secrets: Transforming Your Life and Marriage and Love Revealed. 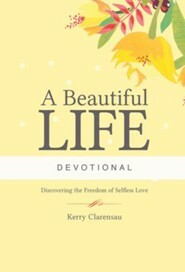 I'm the author/artist and I want to review A Beautiful Life Devotional: Discovering the Freedom of Selfless Love - eBook.